Life insurance is a vehicle that provides cash benefits to designated individuals upon the death of the insured person. Death insurance might be a more accurate term, but it certainly would not be a great advertising tool. Insurance falls into two primary categories, whole life and term. With a whole-life policy, a person pays a premium for a set number of years or until reaching a certain age, and the policy is then paid up. Even if the person lives 20 or 30 years longer, no additional premiums will be collected, and the beneficiary will receive the value of the policy and often any interest that has accrued. Whole-life policies also have certain riders or additions such as a waiver of premium if you become disable and cannot work. Those policies are targeted at younger people, who will be around long enough to pay the policy off. If the person dies before the policy is paid out, the beneficiary still collects the face value. However, there are basic health and age requirements that have to be met, so, for the over 80 group and even some younger people the only path is term insurance. With term insurance, you agree to pay a premium for a given number of years. If you die during that term, the beneficiary will get the value of the policy. If you live beyond the term of the policy, no one will be paid anything upon your death, because you were insured for the term of your policy and not for your life. Term insurance is often offered by employers. The employees can sometimes take the insurance with them when they leave the company but at a higher cost. 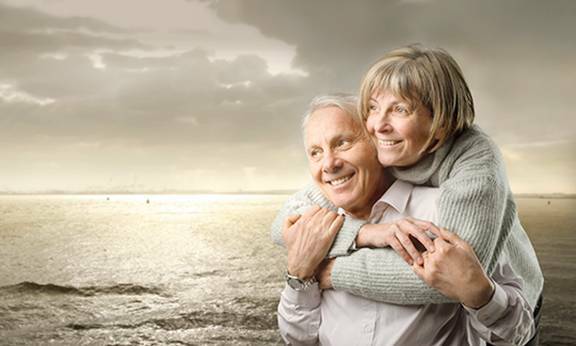 Life insurance for over 80, is not a popular category among insurance companies. Most companies will not write term insurance for people who are 80 or older. Thus, if you want to buy term insurance, you need to purchase at an earlier age. However, you could face certain restrictions as noted below. Some companies do write policies for people over 80 and 85, but the cost is considerably higher. Therefore, these policies are usually for smaller amounts, aimed at paying funeral expenses or any lingering bills that might be left after the person’s death. These policies are not intended to provide a lifetime benefit for the beneficiary. • There will either be some medical questions or possibly a medical exam. • Some medical conditions will disqualify you from buying insurance. • Usually, there are limits on the amount of insurance you can buy, regardless of the fact that you could afford to pay more. • Women are usually charged less than men because statistically, women live longer, and accordingly, the insurance company can collect more in premiums over a period of years. • Life insurance policies for people over 80 will be term insurance policies. If you stop paying the premium, there will be no benefit left to your beneficiary. • Usually the term for such life insurance, is the remainder of your life, be it 5, 10, 15 or 20 years. • While the late-night television ads say you cannot be turned down, there are some restrictions. For instance, some companies will guarantee that you will be covered regardless of any health condition you may have. However, there could be an exclusion period of two years. Thus, if you died before the end of the exclusion period, your beneficiary will only get a return of the premiums you paid prior to your death. • Finally, do not be fooled by ads promising large coverage amounts for small premiums. Usually, the coverage is for a woman 30 or younger and not for a man 80 or older. • If you do buy insurance, look for a known company that covers people over 80. The cost may be higher, but your policy will be better secured. If you are not yet 80, and you believe you need additional life insurance, you should start searching immediately, because there will be more options available before you reach 80 than after your 80th birthday.